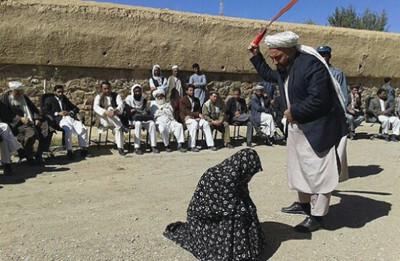 Woman being lashed in public in Ghor province for adultery. A local court passed the sentence in accordance with the Sharia law and the police took measures to safeguard the event. 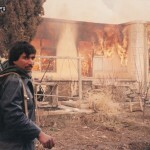 Karzai's CIA connection Ťhas been an open secret in Afghanistan for many years,ť says Gretchen Peters, author of Seeds of Terror.